Our leadership team has extensive experience in the areas of call center management, transportation and logistics, medical transportation and assistance programs, customer service, finance, and quality assurance. See what drives us. Jeff Felton was appointed Chief Executive Officer (CEO) at LogistiCare in July 2017. Jeff chose LogistiCare because he has a strong belief in what LogistiCare does in helping people every day by providing them access to critical healthcare services that they might not otherwise have. He intends to focus the organization on what LogistiCare does well and the immediate priorities of quality and exceeding our customer and member expectations, while building and executing a strategy for the future. Jeff believes LogistiCare has not only built the leading non-emergency medical transportation coordination platform but has only scratched the surface of possibilities of providing essential services to its customers. Jeff brings to LogistiCare more than 30 years of experience in the healthcare services and healthcare technology industries. 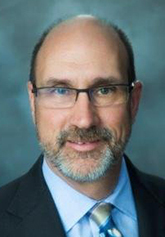 He most recently served as President of McKesson Connected Care and Analytics where he was responsible for multiple business units within McKesson Technology Solutions including RelayHealth, Strategic Intelligence, Extended Care Solutions, Capacity Management and Population and Risk Management. Prior to working at McKesson, Jeff worked at Cardinal Health, Baxter Healthcare and Procter and Gamble. Jeff earned a BS in biology and a BA in economics from the University of Cincinnati, and a MBA from the Kellogg School of Management at Northwestern University. 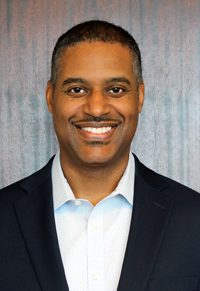 Kevin Dotts was appointed Chief Financial Officer of LogistiCare in August 2018. Kevin has over 30 years of experience as a finance and accounting executive at multiple technology companies, serving 14 of those years in the position of chief financial officer. Before joining Providence, Kevin served as Executive Vice President and Chief Financial Officer of Birch Communications, Inc. and its successor, Fusion Connect, Inc. since February 2017. Prior to that Kevin held CFO roles at Internap, Culligan International and Earthlink. He began his career at General Electric Company (“GE”) and served in increasingly senior financial roles during his 15 years of tenure at GE. Kevin received a bachelor’s degree in finance and computer systems management from Drexel University. Robin Heffernan was appointed the Chief Operating Officer (COO) at LogistiCare in January 2019. Robin’s role as COO focuses on growth of the business, strategic partnerships, client services, member experience, community engagement, contact center operations, technology and product development, information management, transportation network development and operations, process improvement, and continual innovation. Robin is a serial entrepreneur, experienced executive, and former venture capitalist focused on healthcare and technology. She is passionate about shifting the healthcare cost curve, improving access and achieving measurable value for patients and healthcare companies. Prior to her role as COO at LogistiCare, Robin served as co-founder and Chief Executive Officer of Circulation – a business focused on turning better transportation into better health outcomes; acquired by LogistiCare in September 2018. Prior to Circulation, Dr. Heffernan was CEO of Epidemico, a population health company spun out from Boston Children’s Hospital (BCH) and Harvard Medical School. Heffernan was responsible for licensing core technology out of BCH, rapidly scaling the business over a two year period and driving the successful acquisition and integration of the company with Booz Allen Hamilton. Her prior experience includes starting two other companies, Predilytics (acquired by Welltok) and Sample6 (still privately held), working as a venture capitalist at Flybridge Capital Partners and a strategy consultant at BCG focused on the healthcare industry. 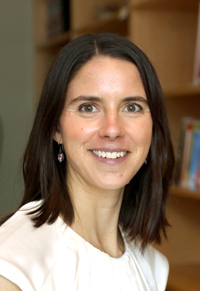 Heffernan is a Chemical Engineer by training, completing her PhD and BA at Harvard University. Chinta Gaston is LogistiCare's Chief Legal Officer and General Counsel. She is responsible for all legal matters relevant to the company including contracting, litigation, and regulatory compliance. Chinta supervises the in-house counsel staff, manages relations with outside counsel, advises human resources, and oversees the company's compliance function. She joined the company as outside counsel in 1999 and assumed her current position in 2003. Prior to joining LogistiCare, Chinta was a managing director at Kroll Associates in New York City where she served as a compliance advisor to numerous companies and directed many internal corporate investigations. From 1992 to 1997, Ms. Gaston served as an Assistant United States Attorney in the Civil pision of the Southern District of New York. In that capacity, she represented federal agencies in a wide variety of areas including international public law, constitutional law, and regulatory and business issues. Chinta began her legal career at Gibson, Dunn & Crutcher in New York City where she specialized in employment and other civil litigation for clients in the health care, finance, media and accounting industries. She received a BA in Linguistics with honors from Harvard University and a JD from the University of Virginia School of Law. She is admitted to practice law in Virginia and New York. Julie Correll was appointed Chief Compliance Officer for Providence Service Corporation, LogistiCare Solutions, and Circulation in November 2018. Prior to the appointment, as LogistiCare’s Ethics & Compliance Officer Julie established the company’s first comprehensive corporate compliance function, including forming and chairing LogistiCare’s compliance committee. She implements and oversees all Medicare / Medicaid program integrity compliance activities, including drafting policies and procedures and developing the code of conduct and related training. As CCO Julie continues to lead and oversee ethics investigations, prepare ethics and compliance risk assessments and risk mitigation work plans, manage auditing and monitoring activities, and work with the company’s clients and law enforcement on issues involving fraud, waste, and abuse. Prior to joining LogistiCare, Julie was Of Counsel for middle-market and small private employers, where she provided executives with a full scope of legal and business advice and expertise, with a focus on ensuring compliance with safety, environmental, and employment laws and regulations. 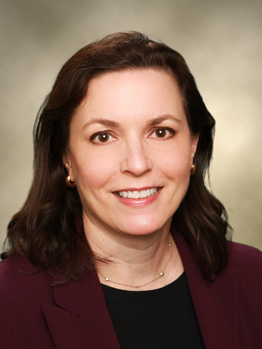 Julie began her 30-year legal career at Wildman, Harrold, Allen & Dixon (now Locke Lord, LLP), where she specialized in commercial transactions and litigation in intellectual property, antitrust, employment, and corporate matters. Julie earned a BA in Political Science and Philosophy, with university honors, from Northern Illinois University, and a JD from Loyola University Chicago School of Law. She is licensed to practice law in Illinois and Virginia, and is Certified in Healthcare Compliance (CHC). Matthew K. Umscheid was appointed Chief Strategy & Transformation Officer and Interim EVP Growth in January 2019. He joined LogistiCare in March of 2018 but worked with LogistiCare as part of Providence Service Corporation since 2015. He is focused on growth, strategy, partnerships, new products, and M&A. For over a decade Matt has worked as a senior operating executive, board member and board observer to build value in companies. Matt brings healthcare, software, financial services and business services experience. 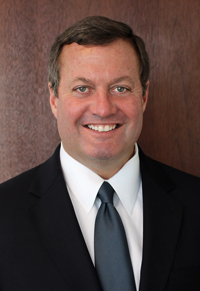 Matt has served as an interim COO and CEO for a private equity backed company. He has helped define growth strategy, launch new products, reshape internal processes, and build executive teams with a strong focus on creating shareholder value. Matt has also led carve outs and merger integration efforts. Matt joined LogistiCare from Providence Service Corporation (PRSC), a public healthcare services and workforce development holding company. PRSC is LogistiCare’s parent company. Prior to that Matt was a senior member of the investment team at Parthenon Capital Partners, a private equity firm focused on healthcare and financial services and software, where he was Director of Strategy and Implementation. Matt has also worked at L.E.K Consulting and Arthur D. Little. Matt holds a MBA from the Tuck School of Business at Dartmouth and an engineering degree from the University of Notre Dame. 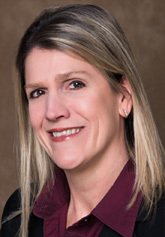 Suzanne G. Smith was appointed Chief Accounting Officer at LogistiCare in February 2019. 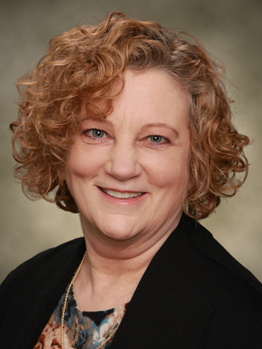 Suzanne has more than two decades of accounting and finance experience in a variety of industries. She most recently served as Chief Accounting Officer of Cumulus Media from May 2017 until February 2019. Previous appointments include Vice President and Corporate Controller of staffing firm, Employbridge, interim Chief Financial Officer for Acuity, Senior Vice President and Corporate Controller of Serta Simmons Bedding, and Director of Finance and Accounting for Kemira Chemicals, North America. Ms. Smith graduated from Ohio State University with a BS in Human Ecology and received a MBA with a concentration in Finance from Georgia State University. She is a CPA licensed in Georgia. 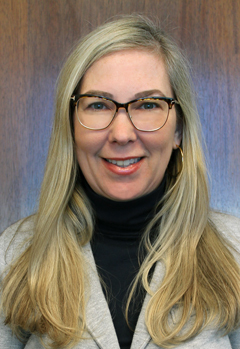 Caitlin Donovan was appointed Executive Vice President in early 2019. 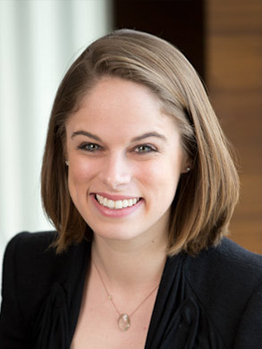 Caitlin oversees all LogistiCare operations including contact centers, claims, member experience, and implementations. She previously served as Chief Operating Officer at Circulation finding practical logistics solutions to improve clinical outcomes. Prior to Circulation she served as a Vice President of Operations at CareCentrix, where she was responsible for optimizing and implementing operational changes for their home health, DME, specialty infusion, sleep, and post-acute lines of business. Before her time in healthcare she served as an operational consultant for Summit Partners and as an investor at BainCapital -- Credit, formerly Sankaty Advisors. Caitlin holds a BA in economics from Harvard. Matt Murphy was appointed the Executive Vice President of Network at LogistiCare in January 2019. Matt leads all network functions, including network development and contracting, provider relations, transportation strategic partnerships, and the Provado Mobile Health platform. He previously served as the Senior Vice President of Network at Circulation which offers a technology-enabled logistics solution, and analytics for managing non-emergency transportation across healthcare. Prior to Circulation, Matt led digital health strategy and innovation partnerships at Boston Children's Hospital, and launched MADE@ MassChallenge, a B2C and B2B electronics and hardware venture investment competition for startups sourced globally. Matt holds a BA from Boston College. 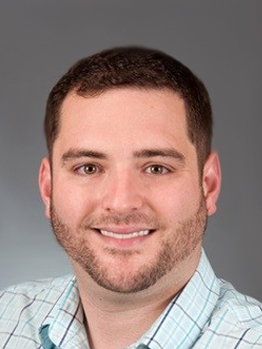 Jared Hawkins was appointed Chief Technology and Product Officer at LogistiCare in early 2019 after the Circulation acquisition. He is responsible for the Technology & Product department, focused on building and maintaining cross-functional technology that will drive the organization in the future. Jared intends to use his expertise to translate a complex industry, with complex business needs, into a simple, scalable technology solution. Jared brings to LogistiCare over 15 years of healthcare technology experience, with a strong background in the academic setting. He most recently served as co-founder and Chief Technology and Product Officer at Circulation where he developed the only all-in-one healthcare transportation platform. 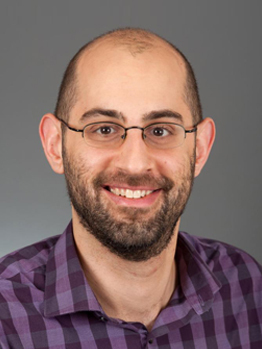 Prior to Circulation, Jared worked at Boston Children’s Hospital as Director of Informatics where he oversaw research and development for the Innovation group, and Harvard Medical School as an Instructor of Pediatrics. Jared earned a MMSc in Biomedical Informatics from Harvard Medical School, a PhD in Immunology from Tufts Medical School, and a BSc in Molecular and Cellular Biology from SUNY New Paltz. Chris was newly appointed EVP of Contracts and Pricing in January 2019. He joined the LogistiCare management team in 2008 and previously served as Executive Vice President of Administration and Operations. He is responsible for pricing, underwriting, contract analysis, client reporting, and contract audits. 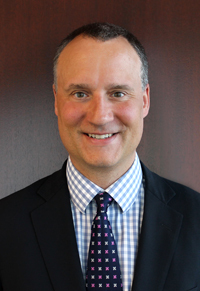 He previously served as the Senior Vice President of Operations for the Atlantic Region. Chris brings over twenty years of management experience and familiarity with call center environments. In the six years prior to joining LogistiCare, Mr. Echols was Vice President of Operational Finance for a global market research firm. He also served in various capacities for a firm that provided outsourced call center functions, including customer service and data collection, to telecom and financial customers. His proven skill set includes customer service, data analysis, operational reporting and problem-solving. Chris received a Bachelor of Science degree in management with a concentration in accounting from Georgia Tech. Jenny Southern is a seasoned Human Resources professional with more than 25 years of experience in administration managing key human resources functions, including 14+ years with LogistiCare implementing NET contracts and managing all HR-related federal and state regulatory and contract compliance requirements. Since January 2002, Jenny has held the positions of Director of Human Resources, Vice President of Human Resources and most recently was promoted to Senior Vice President of Human Resources for LogistiCare. She is responsible for directing and coordinating HR activities for 3800+ employees at more than 32 nationwide locations. She advises senior and line management on best practices, policies, regulations, and practical standards regarding equal opportunity/affirmative action employment, recruitment and hiring options, performance management and disciplinary procedures, employee relations, terminations, and employee benefits. Prior to joining LogistiCare, Jenny worked for Deloitte Consulting for five years as a Regional Human Resources Manager. Jenny is a member of the Society for Human Resource Management (SHRM) and holds a Senior Professional in Human Resources (SPHR) certification.